What would you do when your friends chuck your travel plans in the last moment? Will you cancel the trip or would you prefer to dump them and go on a ride alone. Absolutely I chose the latter one. 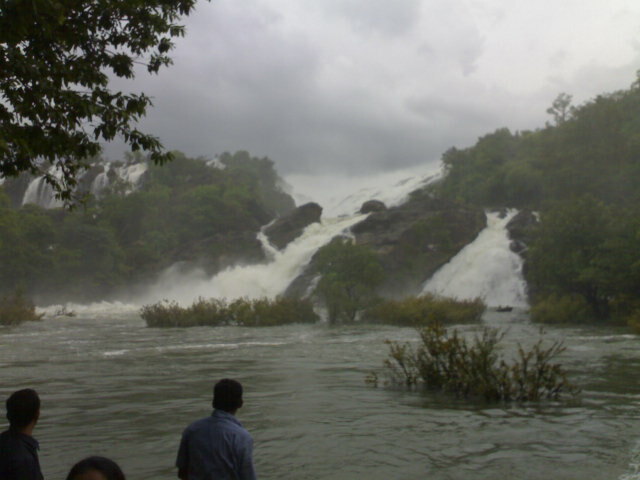 On August 03, 2008 I finally decided to visit Shivanasamudra alone. 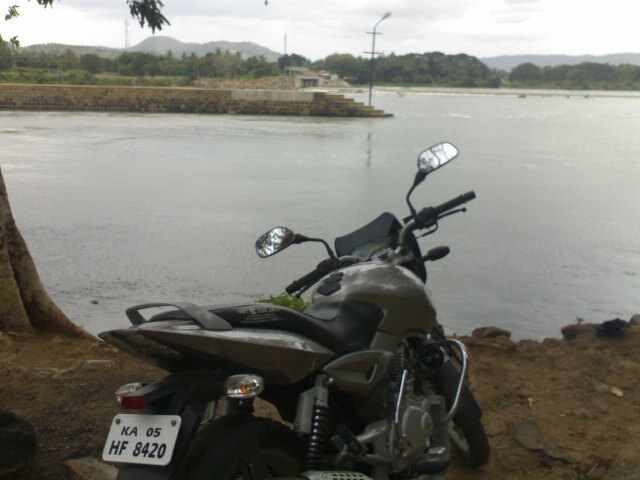 It’s me and my crazy running machine Bajaj Pulsar started from Bangalore at 11:00am. My friends warned about jeopardy of traveling alone but, I dare it. I opted for the Bangalore-Maddur-Malavalli route through Mysore road. The road from Bangalore to Maddur through was excellent, I could easily run in a speed upto 100kmph. Road from Maddur to Malavalli till Shivasanamudra is distorted. I’m able to reach Shivanasamudra in just 2.5hrs flat. 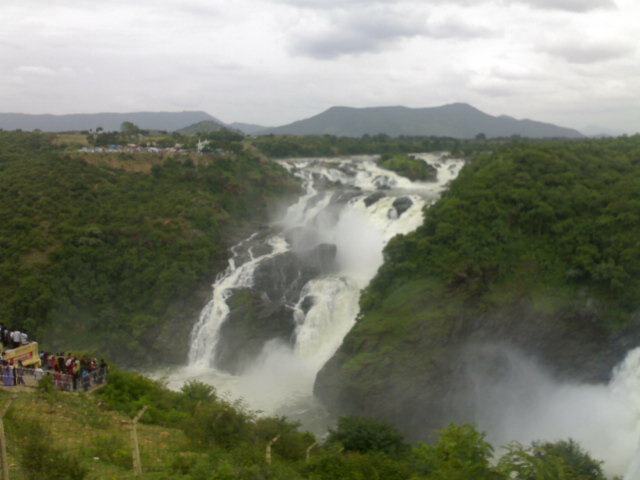 Shivanasamudram runs through Cauvery river and is a deadly combination of twin waterfalls named Gaganachukki towards West & Bharachukki on East, both are just a kilometre apart. 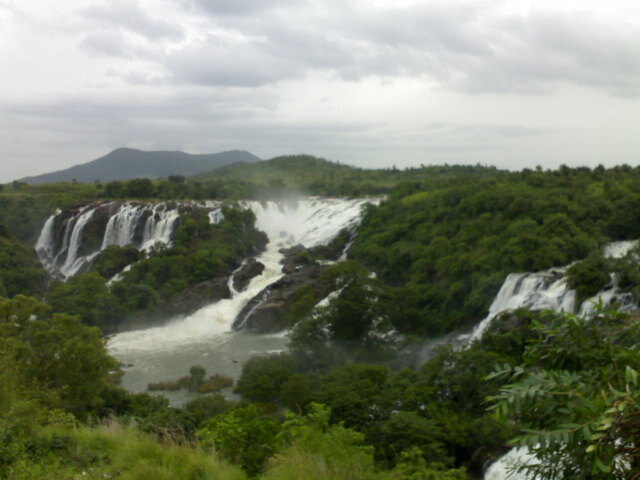 This Western waterfall branches out before to Bharachukki. There are channels run in Gaganachukki and can be seen through two different locations. First is Guest House view that gives broad view of waterfall. Second is Dargah view, that allows tourists to have a closer look of waters. I got an opportunity to get down to falls and wintess the falls as close as 50 metres away, that’s awe-inspiring. This Eastern waterfall has more than three channels running through and is little shorter than Gaganachukki. 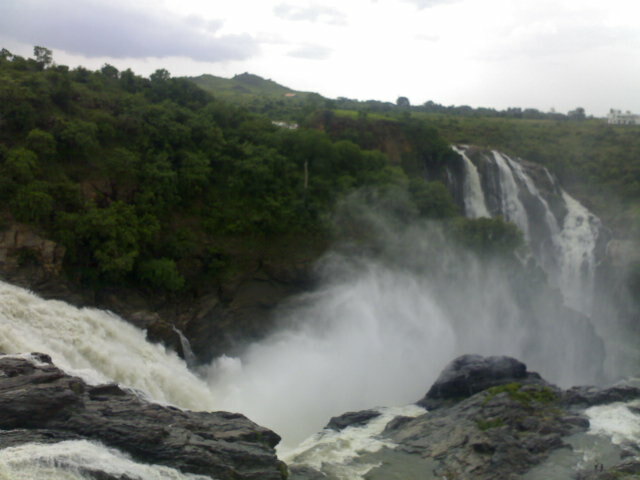 One of it’s channel looks similar to Victoria Falls of Zimbabwe. 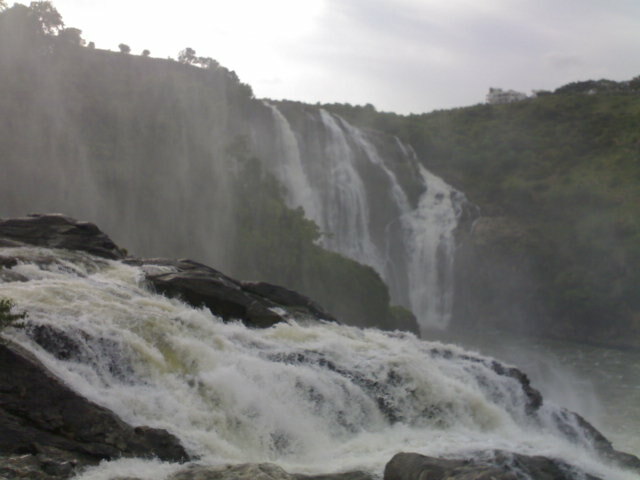 Bharachukki also houses safe places to swim and boating facilities that takes you near to the foot of the falls. 5 Responses to "My ride to Shivanasamudra"
Seems like you enjoy bike riding. Buddy , Its Awesome, Do which you Want to do, I appreciate it….